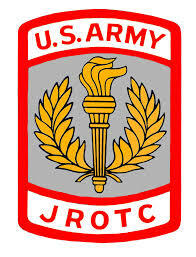 The US Army JROTC program at The King’s Academy began in 2007 and was the first program of its kind in the United States. The Junior Reserve Officer Training Corps is a program put forth by the United States Armed Forces in high schools across the nation that train high school students in Leadership and Military Sciences. The program is entirely run by the cadets and is assisted by a senior instructor. We welcome all private and homeschool students in grades 9-12 to participate in our JROTC program. Students do not have to be enrolled at The King's Academy to participate. On Wednesday, 27 March 2013 TKA JROTC battalion received their formal inspection and earned Honor Unit with Distinction (HUD). An Honor Unit with Distinction is signified by the Gold Star, worn just above the right pocket on the class A uniform. The designation Honor Unit With Distinction is the highest award an Army JROTC battalion can receive and represent the top fifteen percent of the over 1,700 Army JROTC programs throughout the United States. For a JROTC battalion to qualify as an Honor Unit with Distinction it must maintain stringent enrollment requirements and obtain a rating of at least 96% in both the Formal Inspection and the Annual Unit Report. The award of HUD also allows the Senior Army JROTC Instructor to nominate qualified cadets to the Director of Admissions at all five military service academies. For more details, contact Col. Rick Stepat at rstepat@thekingsacademy.org or go to our website here.